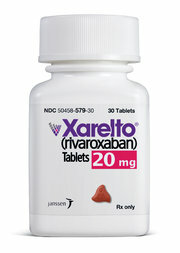 Xarelto, which is sold in the United States by Johnson & Johnson and overseas by Bayer, had nearly $2 billion in United States sales last year and is the best seller in a new category of drugs seeking to replace warfarin, an older blood thinner. The two companies hired the Duke Clinical Research Institute to run a three-year clinical trial involving more than 14,000 patients that led to Xarelto’s approval by regulators. 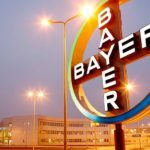 But those results havecome under scrutiny since September, when the companies notified regulators that a blood-testing device used in the study had malfunctioned. Some experts say this case is reminiscent of other instances in which drug companies concealed or altered drug-trial data in medical journals. In 2005, for example, The New England Journal of Medicine published a rareExpression of Concern after it learned that researchers had failed to include three heart attacks in a study of the painkiller Vioxx, made by Merck, which has since been withdrawn from the market. In that case, editors learned that data had been deleted from the trial manuscript two days before it was submitted to the journal.